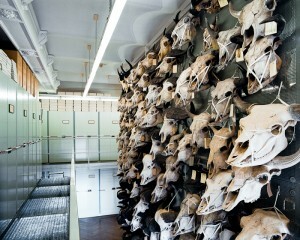 When I first saw pictures from the project “Skeletons in the Closet” by Klaus Pichler, I was overwhelmed. Somebody did something I and certainly many of my colleagues have often thought about: someone should take a picture of THAT. The beautiful and absurd compositions that appear when collections and everyday museum work meet. Cautiously, I asked the photographer from Vienna if we are allowed to post a text and some pictures from the project. The answer was really positive: Not only that this was no problem, he would also write a text about how it was like to work together with the registrars! Enjoy! 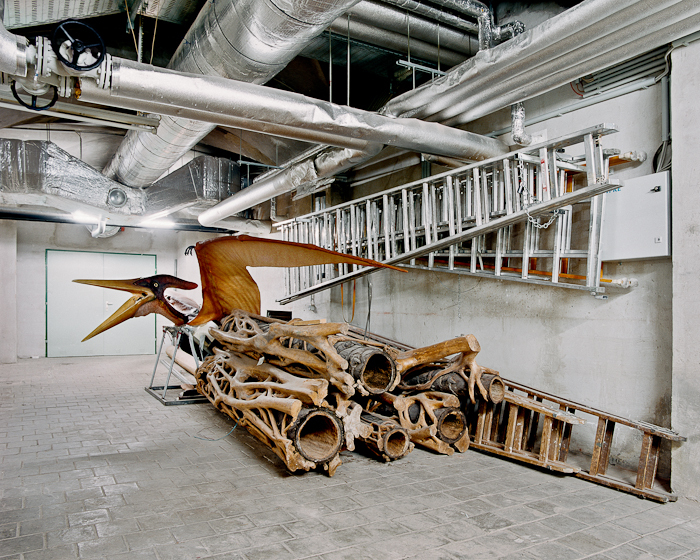 More than four years have passed since my first photo appointment for my photo series ‘Skeletons in the Closet’ in the non-public parts of the Natural History Museum in Vienna. Nevertheless, I can remember my first trip to the basements, depots and storage rooms of the museum like it was yesterday. Some words on my personal history: I grew up on the countryside and whenever my family made a trip to Vienna I insisted in visiting the Natural History Museum. According to that, the fact that I, as a grown-up, was allowed to take pictures in the ‘private’ spaces of the museum has some kind of sentimental value. Back to topic: the first visit to the backstage area was fascinating. Think of childhood memories of visits to exhibitions, think of the film ‘Night at the Museum’ or Noah’s Ark with its doors just opened. Animals next to animals, shoulder to shoulder, frozen in their actions, dead, but alive nevertheless. And, amidst of that: the registrars, who guided me through the taxidermied herds with great knowledge and were familiar with every corner of the giant storage facilities. Without them, I probably would still be in the basements of the museum, lost in the roomy corridors. It is still vivid in my imagination, with how much anticipation they unlocked the doors of a room we have not been before, knowing which special sights were waiting behind the doors. I also remember how quick all my questions were answered by them, no matter how detailed my question were, and their enthusiasm about answering my questions. I often got the impression that the registrars had built up a very close relationship with the exhibits and were enjoying the time amidst their ‘family’, sometimes four levels below ground. I was impressed by the registrars’ pride about a specific exhibit, for example a Blue Buck, which is extinct since a long time and only present as a handful of exhibits worldwide. Or the eagerness of some retired registrars who voluntarily spent their time with refurbishing the herbaria of the botanic department. All I can say is that my whole photo series would only have half its size when not getting a thousand hints and suggestions from the registrars, where to search for special exhibits or where to find photogenic corners of the museum. And I am now using the opportunity of writing a text addressed to registrars to say a heartfelt ‘thank you!’ to the registrars who have guided me through my project. 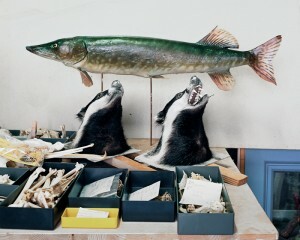 Book: ‘Skeletons in the Closet’, photos by Klaus Pichler, texts by Klaus Pichler, Julia Edthofer and Herbert Justnik, english edition, will be released on June 15 2013, limited to 750 copies (numberd by hand), hardcover, hardbound, 112 pages, 63 pictures. 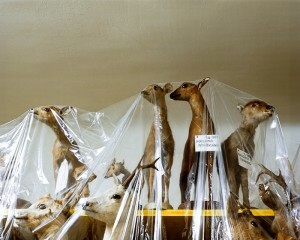 Price: € 30,- plus P & P. Can be ordered via the homepage of Klaus Pichler. 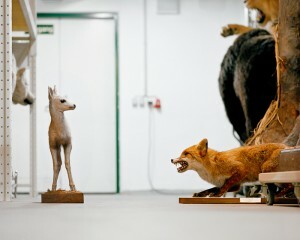 Very exciting photos from the backstage work of museum registrars. Thanks for sharing Angela! Muy excitantes fotos del trabajo tras bastidores de los registradores de museo. ¡Gracias por compartir, Angela! Fascinating and innovative. I will ask our library to get hold of the book. Fascinante e innovador. Voy a pedir nuestra biblioteca que adquiera el libro. Great story. Thanks for bringing the images — and book — to our attention. It’s nice to find someone who appreciates museum storage, rather than criticising us for not showing “everything”, no matter how inappropriate that might be. Gran relato. Gracias por traernos las imágenes — y el libro– a nuestro conocimiento. Es bueno encontrar a alguien que aprecia las áreas de depósitos en el museo, en vez de estar criticándonos por no mostrar “todo”, sin importar lo inapropiado que eso pueda ser.